What links zebras to the Second World War? What connects partying to mental illness in Victorian Britain? And what ties the bed to the expansion of the British Empire? The answers to these questions and many more that will have never crossed your mind will be revealed in a new series of podcasts, which aims to unlock history in ways you never dreamt possible. 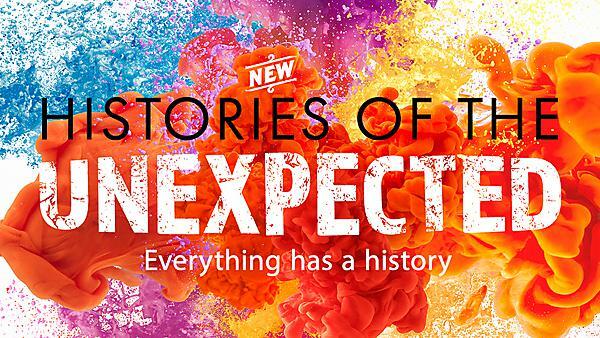 Histories of the Unexpected is the brainchild of broadcaster and historian Dr Sam Willis and James Daybell, Professor of Early Modern History at Plymouth University. It will be available to download on the History Hit Podcast network which is home to the hugely successful Dan Snow’s History Hit, and aims to demonstrate that anything can have a fascinating history and that everything links together in unexpected ways. The first episode will explore the unexpected history of windows, but other topics up for discussion during the series will include the orange, zombies, gloves, paperclips, dragons, graffiti, and blood. Dan Snow’s History Hit brings to life the most extraordinary, dramatic, tragic and fascinating of our shared past and is regularly the number one history podcast on iTunes in the UK. Where arts and humanities research meets cultural ecologies and economies in south-west England. So, what comes next? It’s often said that the best way to see the future is to understand the past. History with the University of Plymouth helps you do just that, while gaining the professional skills you’ll need throughout your career.